We thought it only fitting to bring in the year of the sheep on Chinese New Year with a delicious homemade wonton soup. 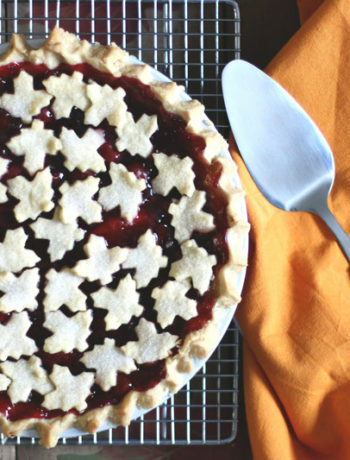 This recipe is quick, simple, and yummy! 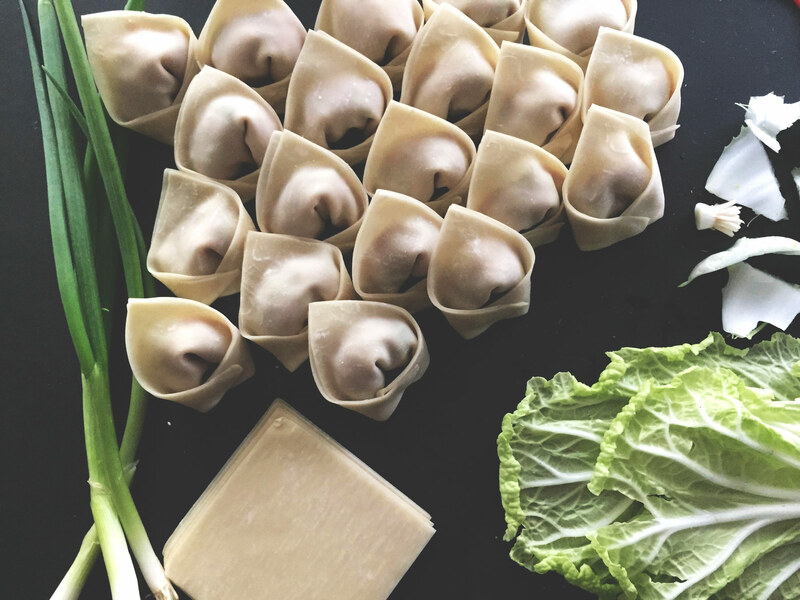 Learn how to fold your wontons like a pro and start making wonton soup for everyone you love. Finely chop green onions and the 4 to 5 leaves of Napa cabbage, set aside. Place the 1 lb of ground pork in a medium mixing bowl. Add sesame oil, hoisin sauce, rice vinegar, soy sauce, egg, salt, and pepper. Mix with a wooden spoon or by hand. Add green onions and Napa cabbage. Mix again until the cabbage and onions are well distributed. Fill a large pot with water and heat while folding wontons. Fill a medium pot with chicken broth (using bouillon or other broth) and heat on stove. To fold wonton, place a wonton wrap in your palm. Using a small spoon, place approximately 1 tbsp of filling into the center of the wrap. Moisten two edges of the wonton wrap with water using a finger. Fold the wonton diagonally, pressing the moistened edges against the two dry edges. Moisten one corner with water and fold on top of the opposite corner. Place finished wontons into the boiling water for 3-5 minutes. The best way to check if your wonton is done cooking is to wait 3 minutes. If the wonton looks shriveled against the filling, it’s done. 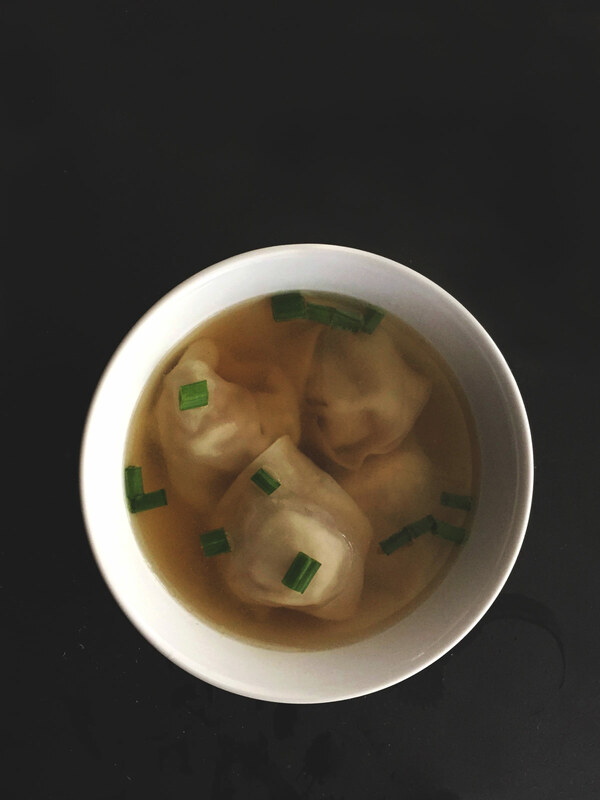 Once your wontons are finished, place wontons in hot chicken broth and serve. Garnish with chopped green onion. Add sesame oil, hoisin sauce, soy sauce, or even some Sriracha sauce. The recipe makes approximately 48 wraps, but can be stretched to make as many as 65. If you’re the only one eating the wontons, making approximate 10-15 wontons at a time is fine. 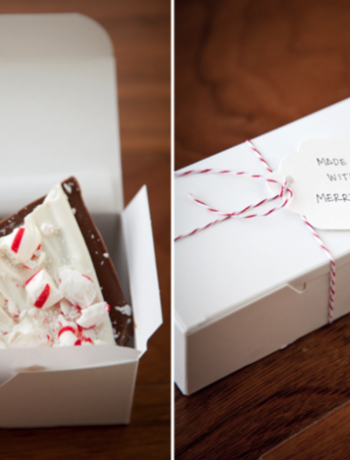 Just be sure to use the filling within 2 or 3 days. Some recipes call for cooking the wontons in the chicken broth. While that’s perfectly fine to do, we prefer to cook them in water because the broth can become starchy.